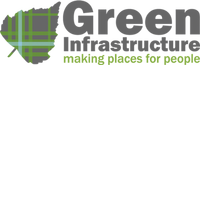 Scottish Natural Heritage have opened the Green Infrastructure Fund for applications. The closing date for this application round is midnight on 1 April 2016. Information on how to apply is provided on their Guidance page. It is structured in the form of a Handbook and new chapters will be added over the coming weeks. Most of the key guidance has been published but there are still a few outstanding that will be made available over the next fortnight. Missing links are highlighted in yellow in the guidance. The aim of the Green Infrastructure Strategic Intervention is to create better places and enhance the quality of life for urban dwellers by improving the quality, accessibility and quantity of green infrastructure in our major towns and cities. The creation and improvement of multifunctional green infrastructure will help to deliver successful places, address inequalities and provide opportunities for better health. The Strategic Intervention will be run through a Challenge Fund – The Green Infrastructure Fund – by providing funding through a competitive selection process for eligible activities for a small number of strategic Operations.